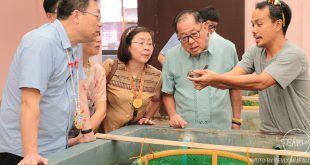 SEAFDEC Aquaculture Department (SEAFDEC/AQD) has been among the leaders in the advancement of mangrove crab technology having done research work on the species since 1981. Today, its research work has borne fruit and experts have become busy providing technical knowledge and skills to increasing numbers of stakeholders. 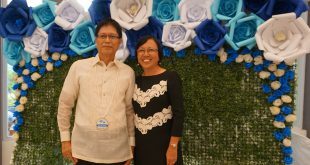 “We have been offering training courses on mangrove crab culture since 2001 and since then cater to 900 participants from different sectors like the government, academe, and private companies and institutions,” said Mr. Caryl Vincent Genzola, head of the Training Section at SEAFDEC/AQD. After being offered yearly for almost two decades at an average of two to three training courses a year, more stakeholders are showing interest in recent years. 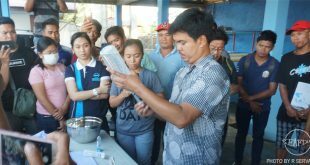 “This year, for mangrove crab-related trainings alone, we offered nine courses with a total of 136 participants,” Genzola added. Participants this year come mostly from the Philippines, although five other countries are represented including Singapore, Thailand, Indonesia, China and Bahrain. 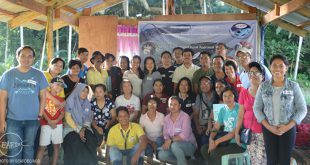 In all, more than 25 different countries have availed of SEAFDEC/AQD’s mangrove crab trainings since 2001. “We believe that the caliber of experts and the quality of technical knowledge and skills being imparted to the trainees is what sets us apart from other training courses offered elsewhere,” Genzola added. Training courses consist of 60% hands-on activities and farm visits while lectures take up 40% of the time. Depending on the needs of participants, the different phases of mangrove crab culture may be covered: hatchery, nursery and grow-out. Crab fattening and soft-shell production technology may also be discussed. Interested trainees may attend the regular training courses prescheduled annually or request for specialized training courses to fit their technology needs and schedule. Since September, two specialized courses focusing on mangrove crab fattening were conducted. The first session for mangrove crab fattening was last 4-6 September 2018 with three participants and the second one was last 15-17 October 2018 with four participants. Another specialized training on hatchery and nursery operations was held 8-26 October with five participants. The regular hatchery and nursery course was conducted last 13 August-3 September 2018 with 15 participants and the regular nursery and grow-out course was last 17-26 September with 13 participants. Inquiries for training may be sent to training@seafdec.org.ph while the schedule for regular trainings is available at www.seafdec.org/training.